It is the time for Khmer New Year which is the Cambodian New Year. 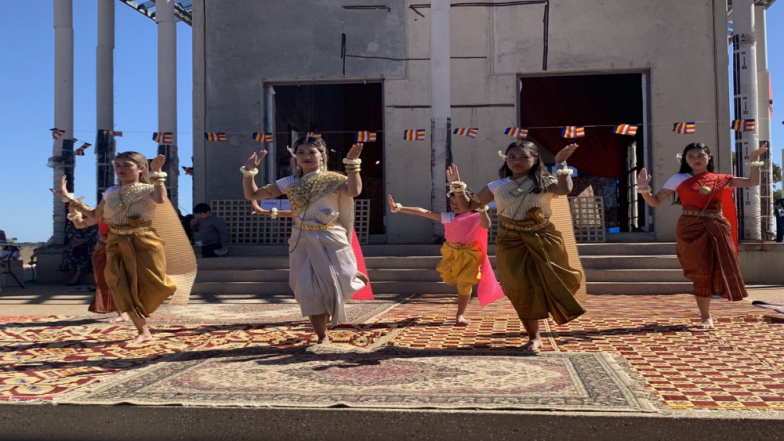 Starting April 14 to the next three days, the Khmer New Year 2019 is being celebrated. It marks the beginning of the traditional Lunar New year and is a holiday for people of Cambodia. Just as Indian communities are also celebrating the harvest festival, Cambodians too mark the harvest season. Farmers enjoy the fruits of the labor before the beginning of the rainy season there. Khmer people who do not reside in the country also mark this festival on the approaching weekend. The celebrations are rooted in Buddhist traditions. Khmer New Year is celebrated for 3 days, each of the days having a special significance. The Khmer New Year also coincides with the traditional solar new year which is celebrated in several other nations like India, Nepal, Myanmar, Sri Lanka and Thailand. Cambodians use the Buddhist Era to count the year on the Buddhist calendar. This holiday lasts for three days. The first day of Khmer celebration is called Maha Songkran. On this day, people put fruits in front of their houses and make an offering to Gods. It is believed that Gods will take nourishment and give them blessings. The second day is called as Virak Vanabat. People visit their relatives and present them with gifts. They have lunch with their family members and also go out together. Some people make charity to the less fortunate families. The third day is called Vearak Loeng Sak which sees people bathing the statues of Buddha. They also shower their elders with perfumed water. This practice is said to wash away bad actions and bring in good deeds and positivity. By washing the elderly with the perfumed water, children obtain best wishes and longevity. People also play some games to bring in more cheer to this day. Street corners are decked up and families enjoy the good break from the routine. Khmer games are very common and help to maintain mental and physical well-being.